SOLD OVER ASKING! 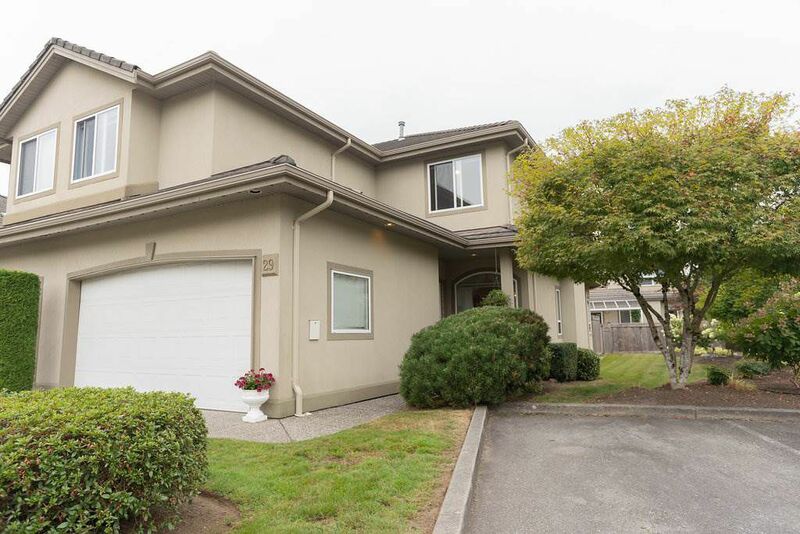 Rare opportunity to own a 2 level townhouse at sought after Parkside Place. End Unit, 2 car side by side garage. Great floor plan with 9' ceilings on the main floor. Open kitchen has slider to the lovely fenced in West facing rear yard with a big patio. Decadent Master complete with gas fireplace, walk-in closet and big ensuite with separate soaker tub. 3rd bedroom has ensuite door to the main bathroom. Quality constructed with concrete tile roof and superior sound proofing. Bonus 5'5" crawl space for perfect Storage and Workshop. Super convenient location, close to all amenities and schools. Only steps to award winning, Blakeburn Lagoons Park.